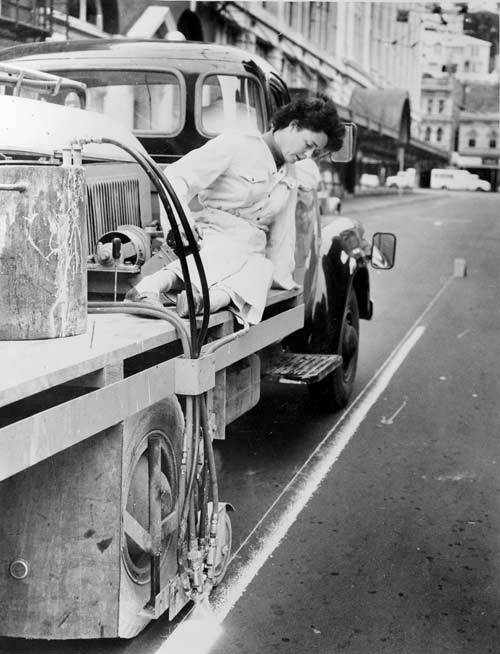 Heather Orsborn of Te Awanga in Hawke’s Bay renews road markings in Wellington in May 1960. Mrs Orsborn was working with her husband. An increasing number of married women returned to the paid workforce from the late 1950s, and this was one reason for the increasing equality of market income during those years.